The Toronto Raptors’ new $38 million 68,000 sq. ft. practice facility opened in February. 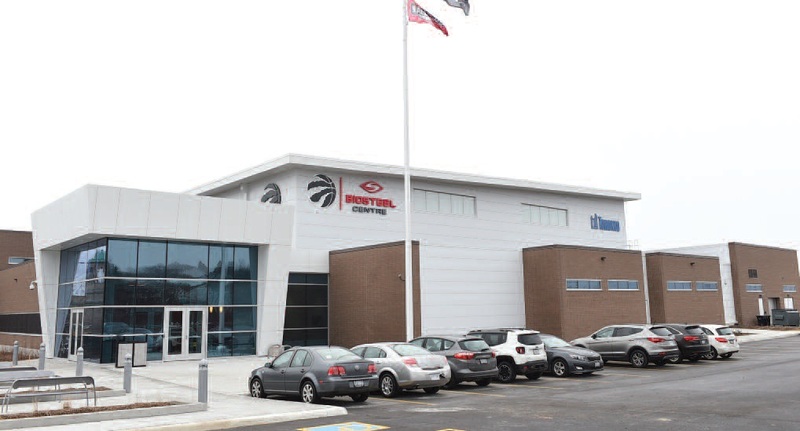 Besides serving as the team’s state of the art training site, the centre provides an operational base that suitably recognizes the Raptors’ current star status as tops in the NBA Atlantic division. Located just west of the BMO Field at Exhibition Place in Toronto, the two-storey structure has been constructed by EllisDon and designed by Baldwin & Franklin Architects with Oklahoma based architects Guernsey. Birnie Electric Ltd. is the electrical contractor. He says the new centre has more than triple the space the team had at the Air Canada Centre and includes two full size courts, a players’ locker room and lounge, a barber shop, a large fitness and weight room, a medical and rehabilitation area with an underwater treadmill, and a full service kitchen and dining room, meeting rooms and a 26-person theatre where the team can watch game footage. Team operations have also been moved into the Biosteel Centre to create communications synergies, bringing every aspect of the organization together. The centre also includes a second court, which will help facilitate the 1,235 hours of community use – one of the conditions set prior to construction. User groups include Toronto Parks and Recreation, the Toronto District School Board and Toronto Catholic District School Board, the Ontario Basketball Association (OBA), the Canadian National Exhibition Association (CNEA), and Canada Basketball, along with the Raptors’ own youth program. He says the electrical detail in the building includes large amounts of communication and audio visual cabling. With equipment and parts coming from all over North America, the effort required close coordination and a focus on scheduling equipment to arrive as soon as was possible, Hanley said. He credits the project’s success to EllisDon who “guided the ship” and to the rest of the project team who stepped up and worked together to get the job done. 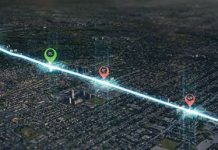 For instance, he says close co-ordination with Foursite Drywall and Sprint Mechanical contractors ensured no one was impacting the work of the other trade. In designing the Toronto Raptors’ new Biosteel Centre, Baldwin & Franklin Architects Inc. worked closely with U.S. based sport-centered firm Guernsey, to focus on qualities that would honour and support the tremendous effort that goes into creating a winning team. Mark Franklin, Baldwin & Franklin president, says though fans often obsess about the glamour of professional athletics, studied up close, the skills that are admired are the product of tremendous applied effort by the athletes and the people and technologies that support them. Understanding that athletes refine their talent through hard work, he says the primary design objective for this project was to show respect for that effort – to make the various working spaces visually diverse, and to provide best in class technological support. “Making the project periodically accessible for amateur and semi-pro competitors, motivates those athletes with glimpses of what might be, and how they might get there,” he said. Franklin says at the heart of the building are two regulation courts, detailed to NBA’s exacting standards. Support staff including trainers, coaches and front office are situated to maintain visual contact with the courts as a constant reminder, he says, that the real team business happens on those wood floors. Franklin says there was a challenge in achieving a balance between the privacy of players and making the building open to its surrounding context. Carefully placed transoms, opaque glazing and vegetation allow for natural light in almost every occupied area, while protecting privacy where necessary. Franklin says the site’s design challenges included taking full advantage of the lakefront location and rehabilitating a dog-eared parking lot.